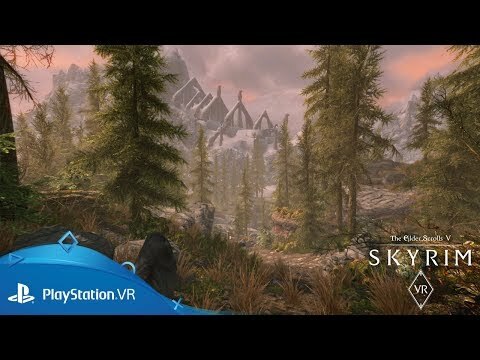 For the first time ever, explore the iconic realm of Skyrim in virtual reality. 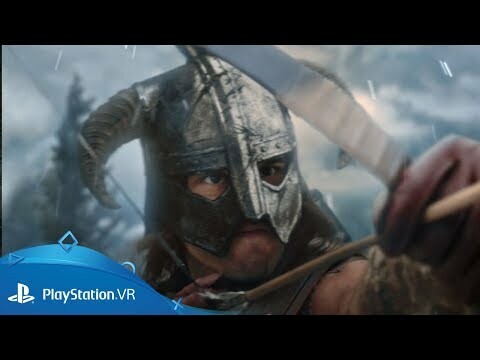 Venture among the sleepy villages, staggering mountains and forgotten crypts of Tamriel's icy, northern-most realm in a VR rendition of one of gaming's most beloved universes. Freed from captivity by an unlikely turn of events, set foot into a perilous world of demons, dragons and roving bandits. Win the trust of locals through bravery and daring or rob them blind as a scaberous outlaw - how you make your way in the realm of Skyrim is up to you. 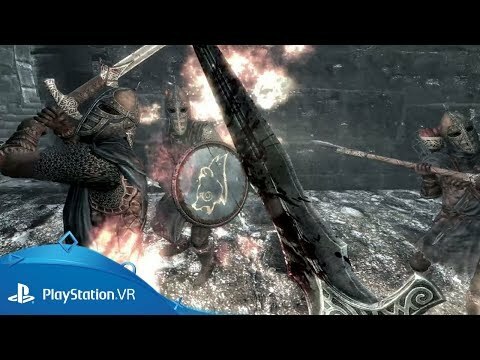 Including both the critically-acclaimed core game and the three official expansions - Dawnguard, Hearthfire and Dragonborn - The Elder Scrolls V: Skyrim VR brings one of gaming biggest adventures to PlayStation VR. Looking for great PlayStation VR experiences? Protect your Peeps and fight off the horrors of darkness in Tethered on PlayStation VR. Arm up for the fight of your life in this high impact military shooter, exclusively on PlayStation VR.